My name is Gabrielle Ostroski and I am the Camp Matollionequay Director. If this is your first camping experience with us this summer, welcome to the Camp Matollionequay family! If you are joining us again, welcome back! I am so incredibly thankful for our community. I wanted to introduce myself and share my own story with you, as you are entrusting me and my staff with your precious child. I am so grateful and appreciative of this honor. 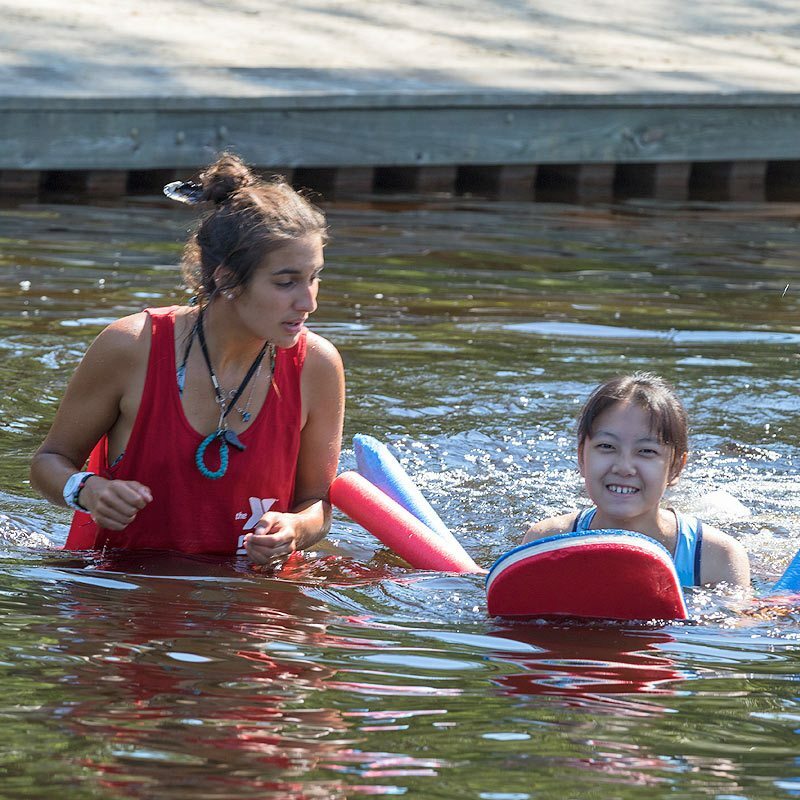 Originally from Australia, my journey to Camp Matollionequay began in the year 2000 when I decided that I wanted to experience summer camp in America. After seeing many advertisements in newspapers and on bulletin boards at my university, I decided that 2000 would be the year that I was actually going to the U.S.A.! After a very tedious application and interview process back home, I got the call from the agency one day while at work saying, “You are going to YMCA of the Pines in Medford, N.J.!” I was so excited that my dream of going to America to experience summer camp was about to become a reality. That summer, I was a counselor in Oneida Village and worked with the boating staff. I had an amazing experience and was sad to leave. I went back home and in January the following year I received a phone call from the camp asking if I was interested in returning to spend another summer there. I knew I just had to come back! Since then I have held many positions such as a Village Chief, CIT/LIT Director, Assistant Director and in 2004 became the Matollionequay Director. Needless to say, what was supposed to be a one-time experience, continued on – leading eventually to a proposal in a canoe, a wedding on the property, a beautiful daughter and a journey that continues all these years later. One of the things that I loved about camp initially was the invitation to just be yourself and accepted for who you are. Walking into an environment, not knowing a single person but immediately feeling at home was a great feeling. Being able to embrace and nourish all the different qualities in each other was so empowering. I knew the world needed more of that and I wanted to be a part of it. 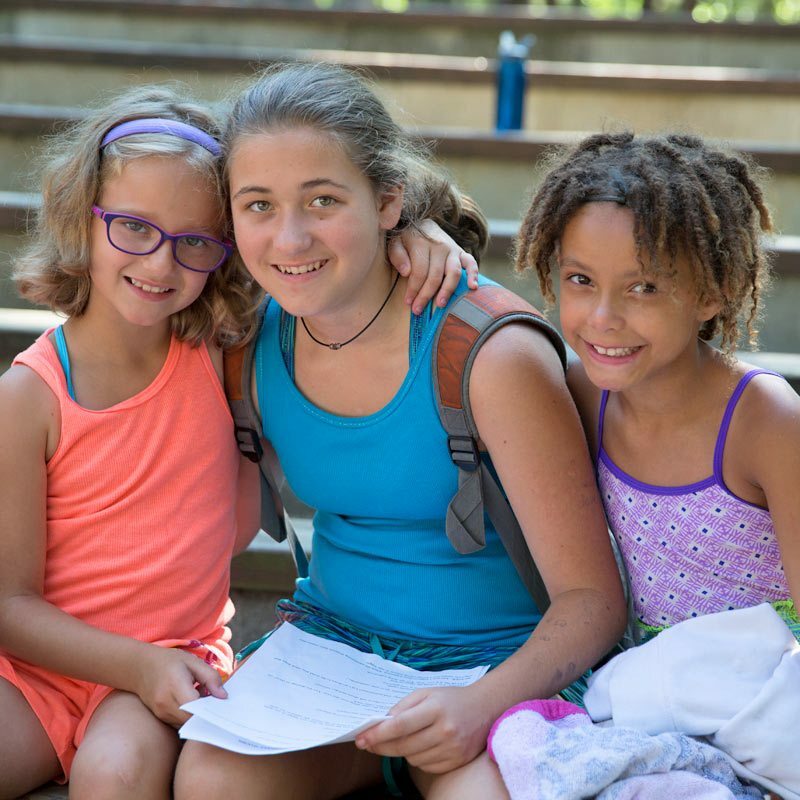 Becoming a parent and watching my daughter grow up at camp has also given me a new perspective. It’s important for children to have role models in their life and feel like they are a part of a community. What I knew to be true before, I believe even more now. Kids need camp. A safe environment away from home, in a supervised setting, where children can learn how to interact and live with others their own age. They get to learn about themselves and push their own personal limits. There is no technology, it’s all about being outside and playing together. Building friendships and making memories and most importantly, being encouraged to be YOU. I believe that learning to love our true selves and feeling good about who we are empowers us as individuals. And when we are our true selves, there is a happiness that shines through that is more often than not, contagious. How awesome is that?! So here I am, very thankful and blessed to have met so many amazing campers and staff who have not only impacted my life, but also each other’s. I want to continue to help others see their beauty inside and embrace their imperfectly perfect selves. To know and feel that YOU ARE ENOUGH. As the countdown to summer has begun, we are working hard to make sure we give your child the best possible experience. At Camp Matollionequay, community and values are important. We strive for Courage, Love, Honesty, Caring, Respect, Responsibility, Peace, Perseverance, Empathy and Wonder. If there is anything that you feel we need to know about your daughter prior to her arrival that would help to set her up for success while she is with us, please feel free to reach out to me by email, gab@ycamp.org or phone, 609-654-8225 ext. 1523.